At Stone Cutters, we specialize in creating truly custom stone countertops that are perfect for any decor. Right down to the very edge, we will provide you the dream kitchen or bathroom you have always wanted. 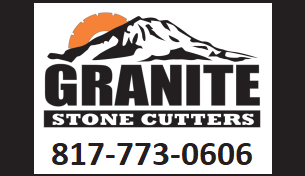 If you have any questions or we can assist you in any way, please feel free to contact Stone Cutters at 214-502-8029. For your convenience, you may also request services from this site. Stone Cutters offers countertop design and fabrication in a variety of stone material.